There seemed to be some interest around these collection reviews (remember my rundown of the LC Lauren Conrad Runway Collection?) so I figured I’d give the Adam Lippes for Target Collection a shot too. I had stalked the lookbook on Refinery29 when it was released several months ago and lusted over several of the plaid pieces. The collection launched late last month, and I jumped online at midnight to see if I could nab a few pieces. Lots of crickets online with this collection… quite the opposite from my last run-in with Lilly Pulitzer x Target collaboration! I digress. The point is, this collection had little fanfare. Apparently no one else has the same love of plaid that I do. Or maybe people are sick of Target’s designer collaborations. The world will never know. The Adam Lippes for Target collection also featured home goods, men’s clothing, and women’s clothing was available in regular or plus size. I stuck to just women’s clothing for this one, so onto what I picked up and what I thought! When I initially ordered these, only full sizes were available. I’m not sure if this changed, or if they had temporarily sold out, but they are now available in half sizes as well. Typically I wear a 6.5 and unfortunately, I found these to be about a full size too large. These were cute, but I ended up preferring the fit and feel of the heels to these. This was pretty disappointing, as I thought this would be cute. Unfortunately, like most of the collection, it runs large. I would have much preferred to try an XS for comparison, but it’s now unavailable in that size and is not available locally. I did like this. However, I don’t think the cowl neck did any favors for me. I think this would be beautiful on someone taller, and I was impressed with the weight for the price. This also seems to run large, and while I don’t think a small looks awful but I could have gone with a smaller size for a better fit. When it comes to funky fit, this piece takes the cake. I think I could have fit another half-size of me in this jacket! The sleeves fit okay-ish, but the abdomen was cut extremely generously… so much in fact that it looked quite bizarre with just a sweater underneath. If you’re taller and a fan of boxy, oversized cuts, this jacket would be perfect. I wanted to love this. I really did. But I think the material was just wrong for me. When I ordered it, I didn’t realize this was a knit sweater type of material, which on me, just didn’t look polished enough. For someone taller, this would be easy to pull off. For me, I felt like it just made me look shorter and frumpier. So sad! Apparently I lucked out and ordered these in a 7 (again with the weird full size only at launch but now they magically have full and half sizes…) because reviews say these run small. 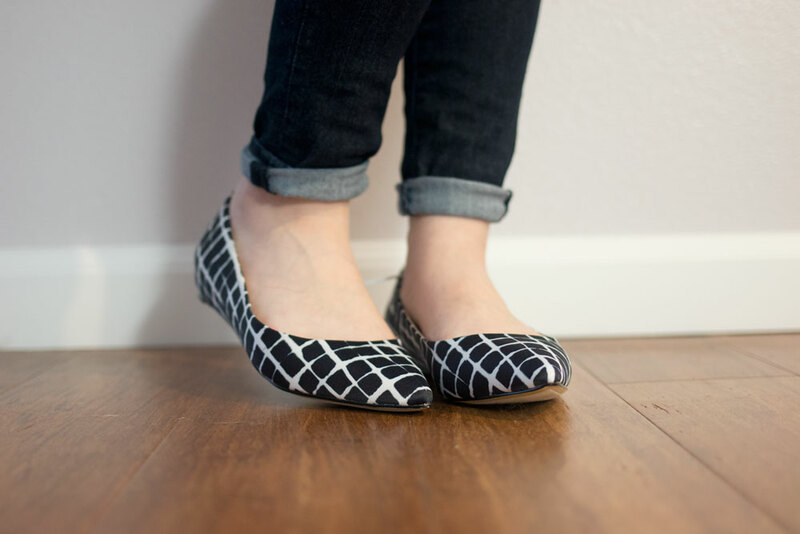 I found the 7s to fit beautifully, and I was shocked… they felt comfortable! I’m planning on wearing these to a wedding at the end of this month, so if you’d like, I can report back on how my feet do. ;) I do notice some glue marks at the seams, but I find this in a lot of budget-friendly shoes, and this pair did come with a dust bag that was a nice touch. 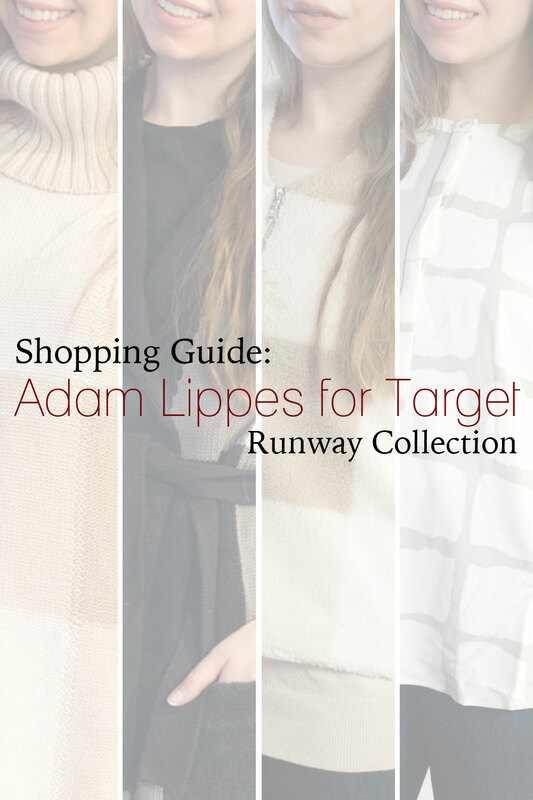 Have you checked out the Adam Lippes for Target Collection? Which pieces did you like or dislike? Haha, definitely understandable, the checkered pattern definitely isn’t for everyone. I ended up liking the smaller amount on the shoes too! The pointed toe pumps are my favorite! I’m surprised every single item in the collection is checkered (unless that’s the designer’s style)? Nope, don’t think so! I think this was just this particular collection. Okay you look GREAT in everything, but you’re right: it’s kind of a lack luster collection. I’m glad I read this post before I went crazy on Target.com and bought everything! I feel like this whole collection was a little “meh” for me. Too neutral, perhaps? I do like those pumps, though! Great post, I usually don’t wear Target clothes because I am 5’11” and find them to be not sized to fit my kind haha, but I think I will check this collection now because it sounds right up my alley! Ah it will be perfect for you then! Hope you find some pieces you love. Oh my goodness, that jacket is ridiculous. The sizing is almost comical! I wasn’t a fan of anything in this collection except maybe the shoes. It’s clear that the sizing is off! Definitely odd sizing, and overall just didn’t work out for me. Oh well! I love that layering vest! Unfortunately at just over 5ft I would look like a kid playing dress up. Ha. I really like the shoes too. The target designer collab thing does seem to be getting a little old.